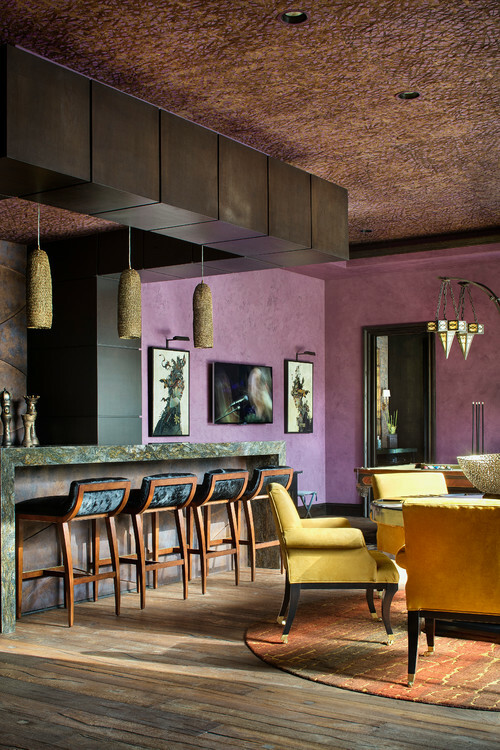 Whether it’s from antique Turkish rugs, North African-inspired mosaics, or the multi-coloured villas dotting the Mediterranean, I have always been inspired and seduced by rich, interesting colours. 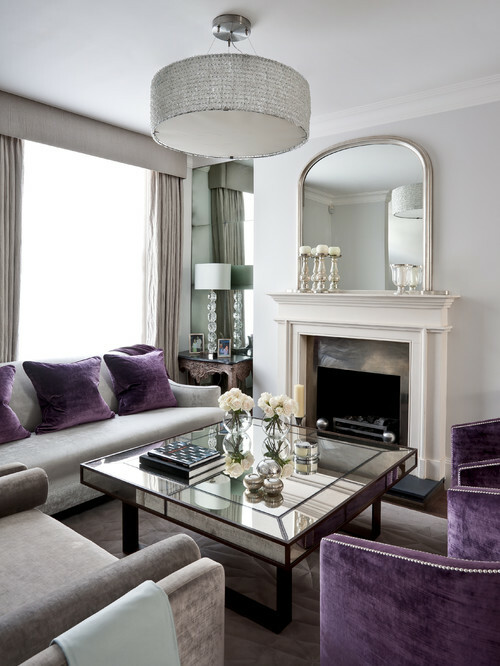 There is a heady depth to jewel tones that bestow a sense of culture and nonchalant luxury to any interior. This winter, we embolden you to rouse your inner Gypsy and paint, decorate, or even dress in a riot of colour. On the one hand, decorating with cane furniture, white linens, and lush greenery is a classic- and simple- means of instilling a calming, bohemian feel to your living space. But save the light, airy look for summer (and the bach! 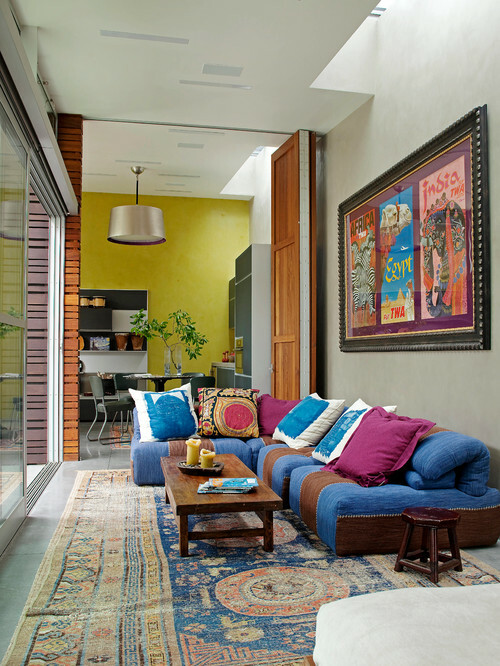 ), and delve into rich jewel tones to bring the sultry shades of the Mediterranean to your doorstep. Torn between a yellow reminiscent of old spice markets, and red worthy of the Romans, I settled instead on this stunning shade of purple. No bohemian collection (from wall hangings to floor pillows) would be complete without something as decadent as Damascus Purple. See our suggestions below for ways to infuse purple into your home today- from accents to wall paint to statement furniture! Head over to Taylored Revival at 22 Moore Street, Howick (or check out our online store) to shop Annie Sloan’s Burgundy and Napoleonic Chalk Paint™ today! For further inspiration, have a peak at another one of our favourite jewel tones, Barcelona Orange, found here.